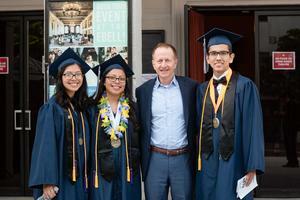 Austin Beutner, the new superintendent of the Los Angeles Unified School District, congratulated our Dalzell Lance High School graduates for their success and perseverance at commencement cermony. 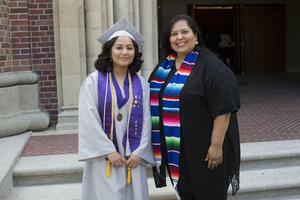 Monica Garcia, president of the Los Angeles Unified School District Board of Education, presented the Soy Inteligente medal to one of our Miramar High School college-bound seniors at commencement ceremony. Join us for our Family BBQ and Orientationon Saturday, August 5, 2017from 11am to 1pm! Únase con nosotros para nuestra barbacoa familiar y orientación el sábado, 5 de agosto 2017 de 11am a 1pm! Please check out our 2017 Summer Brochure. Attend workshops and learn how to get involved this upcoming school year! Por favor revise nuestro folleto del verano 2017. ¡Asista a talleres y aprenda cómo involucrarse en este próximo año escolar! Join us for our Back 2 School Event on Wednesday- August 30, 2017! Come meet our new teachers and staff, reconnect with our returning teachers, and come see our newly remodeled Kinder classrooms!